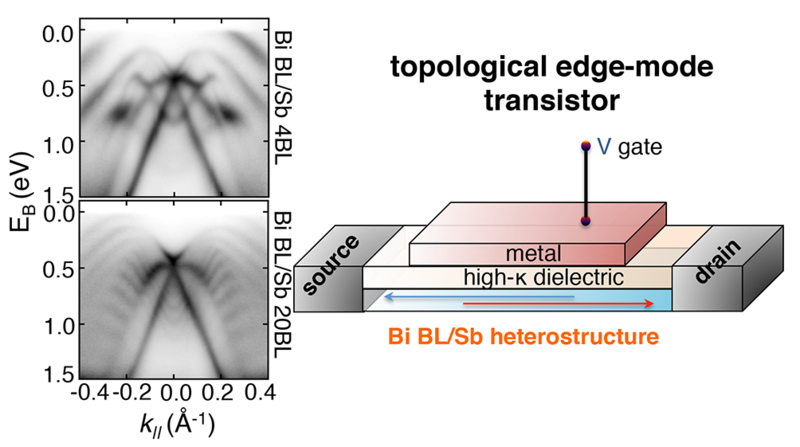 Transition metal dichalcogenides have attracted much attention recently due to their potential applications in spintronics and photonics because of the indirect to direct band gap transition and the emergence of the spin-valley coupling phenomenon upon moving from the bulk to monolayer limit. Here, we report high-resolution angle-resolved photoemission spectroscopy on MoSe2 single crystals and monolayer films of MoS2 grown on highly ordered pyrolytic graphite substrate. 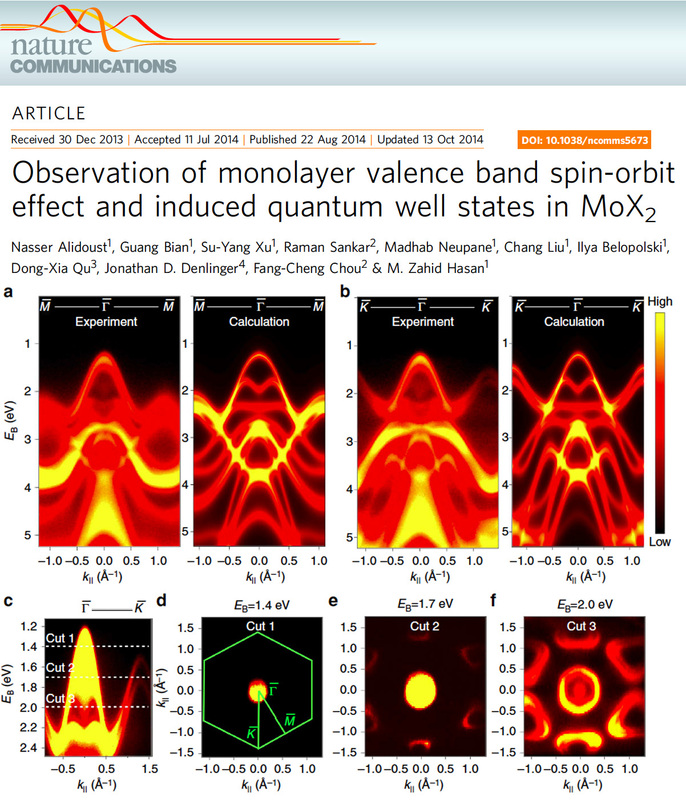 Our experimental results resolve the Fermi surface trigonal warping of bulk MoSe2, and provide evidence for the critically important spin-orbit split valence bands of monolayer MoS2. 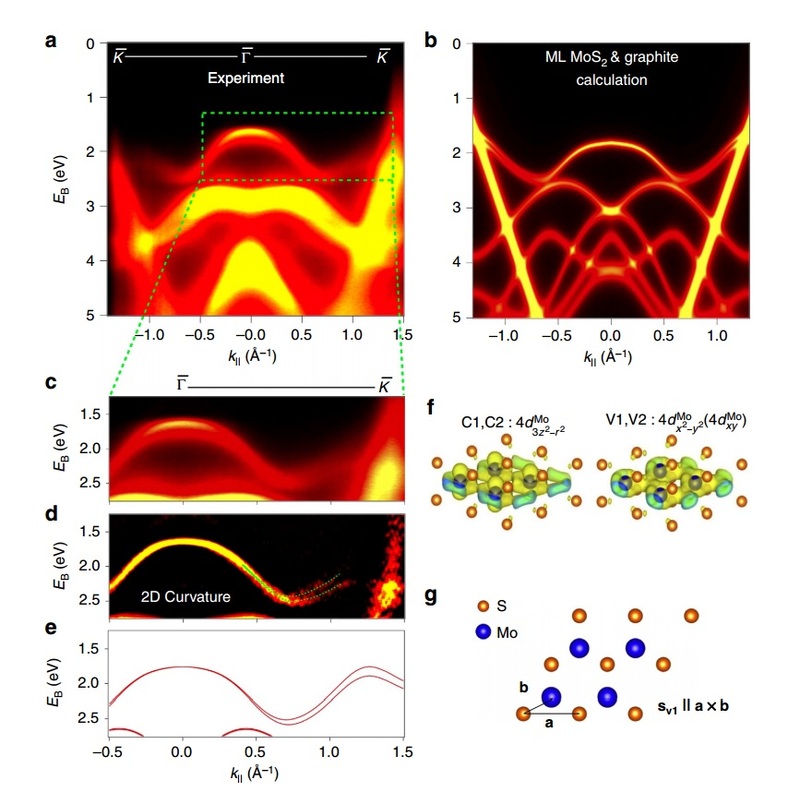 Moreover, we systematically image the formation of quantum well states on the surfaces of these materials, and present a theoretical model to account for these experimental observations. Our findings provide important insights into future applications of transition metal dichalcogenides in nanoelectronics, spintronics and photonics devices as they critically depend on the spin-orbit physics of these materials.